Normally Bernard Cornwell tells the reader in a postscript exactly where and how he adjusted facts and modified history to help his story along. However, in the Audible version, this section was not read so I don’t have a reference for what actually happened back in the day. No matter, the story was fantastic! 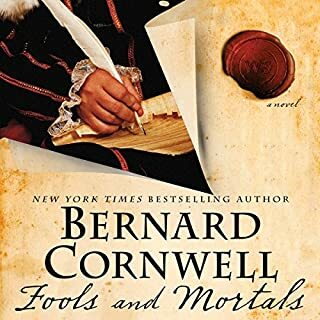 The use of Shakespearean poetry throughout the story and the details of London life and Shakespeare’s family inject a unique degree of sophistication into Mr. Cornwell’s latest masterful story. Incredibly entertaining especially for those who love classical literature.